CF Digital Camera photos can be accessed with this versatile adapter. 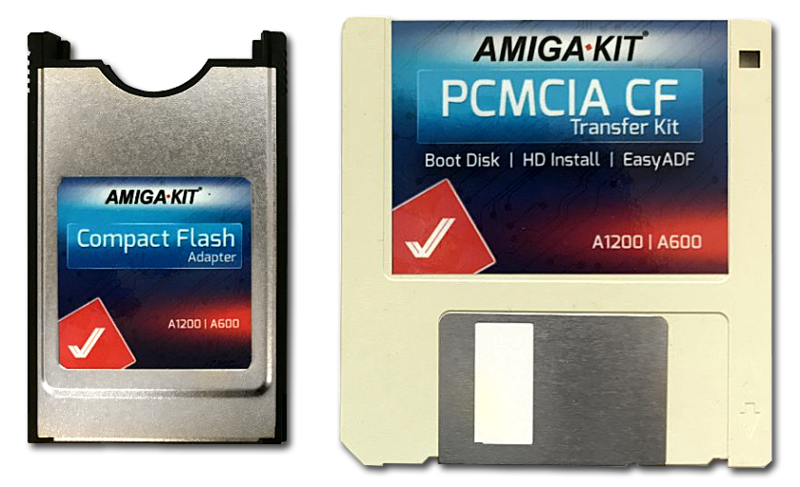 The Amiga Kit compact flash adapter simply plugs into PCMCIA slot on the side of your Amiga and allows your Amiga to read and write to Compact Flash cards. Supplied with Amiga Kit software on floppy disk and instructions. Amiga Kit software includes our exclusive EasyADF application - a quick and easy tool to make or uncompress ADF and ADZ images. Additionally EasyADF can also uncompress LHA archives. 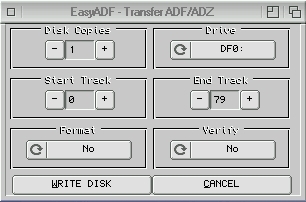 EasyADF is ideal for creating ADF images for use with Amiga Forever and WinUAE. 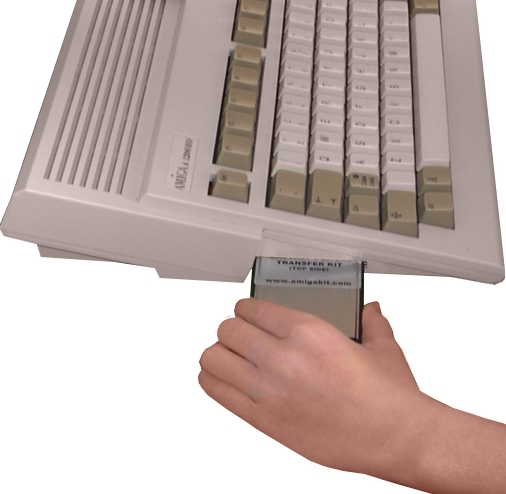 You do not necessarily need a hard disk to use this adapter- the floppy disk supplied is a stand-alone boot disk as well as being a hard disk installation disk. Free worldwide 2 Year guarantee against hardware defects (return to base warranty). ¹ PC/Mac may require a compact flash card reader. You will require a compatible compact flash - see configuration options below. ² PC/Mac will require CDRW drive to burn CF card contents to CDROM.